Spring. It’s finally here! For most of the country, the winter seemed to linger. But now that the warmer temperatures have started to blow in, spring fever starts to bite. After the winter, everything seems to need cleaning, doesn’t it? I know my truck is in need of a polish. 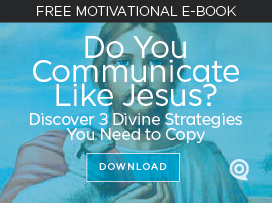 But how about your church communications? It’s a great time of year to start getting ready for the rest of the year since people vacation in the Summer (away from the church) and then the Fall Church Program kickoff is soon after with a huge time to attract and engage people. It’s not too soon to be thinking ahead! Look under things. Spring cleaning requires peeking under things to see what’s accumulated system-wise that isn’t beneficial. Look “under” your website, email campaigns, and social media. Examine the metrics and analytics. Find out what’s working and what needs improvement. Clean up the things that are slowing you down, and dedicate time to the things that need success. Open the windows. Letting the warm breeze flow through an open window is the highlight of spring for me. It’s always good to get a breath of fresh air. Consider outside church consultants, systems or apps that’ll help you. It’s almost impossible for you to know everything that’s going on. When you let outside opinion blow across your ministry, you’ll see how much easier it is for you to justify your existence and accomplish more with less. Everyone needs help; don’t deny yourself of the assistance of others! Rearrange the furniture. I love rearranging things. The spring is a great time to adjust the furniture, add, or replace pieces to make the room feel bigger and more efficient. Sometimes your church doesn’t need new things, it just needs a leader to rearrange and enhance the things you have. What to consider? Ensure your social media and email campaigns are pointing to your website all while building SEO values with optimized keywords. Or maybe it’s time to adjust and improve your designs. A small adjustment often makes everything feel new. 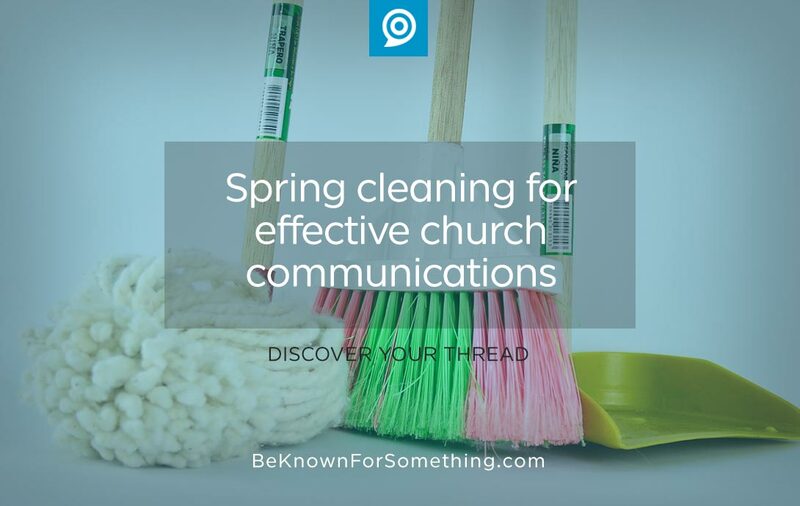 Don’t put off spring cleaning. Once you get started, you’ll appreciate what a little effort will do. Then sit back and enjoy the feeling of accomplishment. Soon, summer and fall communications will thank you for the work you do.